Chuck-E-Cheese, you read that right! 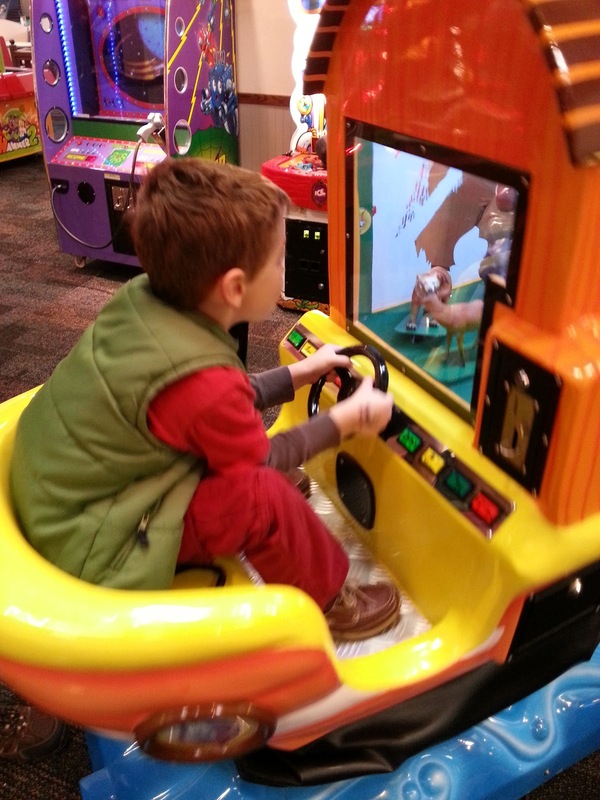 I can’t believe it either but we took Mason to Chuck-E-Cheese recently. You may not know it but I told myself we wouldn’t ever take Mason to that place because of all the awful stories you hear. WELL! We took the plunge last Sunday morning for our family day. And I will say I was very impressed!! Don’t get me wrong but I wouldn’t want to go on a evening or holiday. So yeah we go in and there’s no line, not even at the food, barely anyone there. They stamp you with a glow in the dark number that matches your child. The prices weren’t bad at all; we got the package 1 which was a medium pizza(big enough for the 3 of us), 2 drinks, 20 tokens for $20. Every machine is only 1 token. We played(okay just the boys did) and ate for only $20, that’s pretty good! Tables are scattered throughout the whole place. They put all the tall games near the sides, you can almost stand in one spot and see the whole place. They had hand sanitizer! At the prizes booth you could either turn in your tickets for a prize or they had stuff you can purchase with money instead of tickets. I LOVED that, I can’t think of another place that you can purchase the stuff. 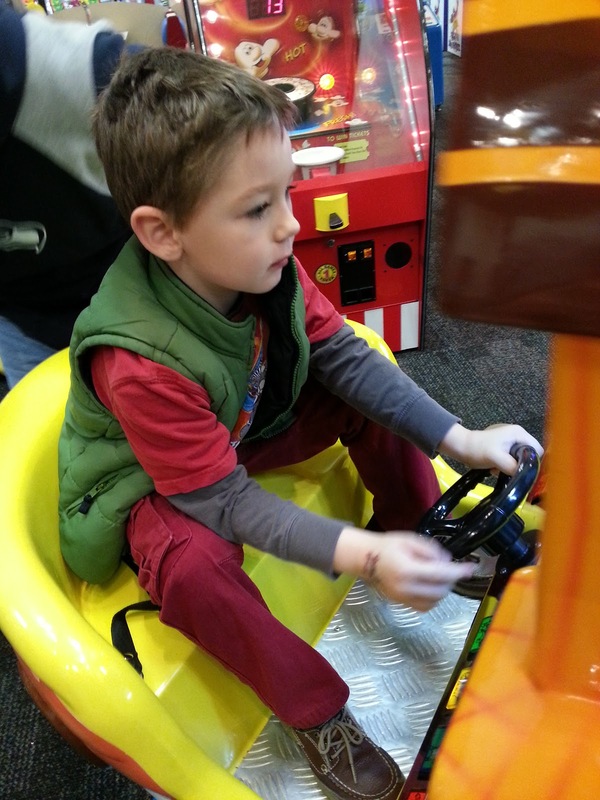 I haven't been to Chuck-e-Cheese in AGES! That's awesome that you had a great time!